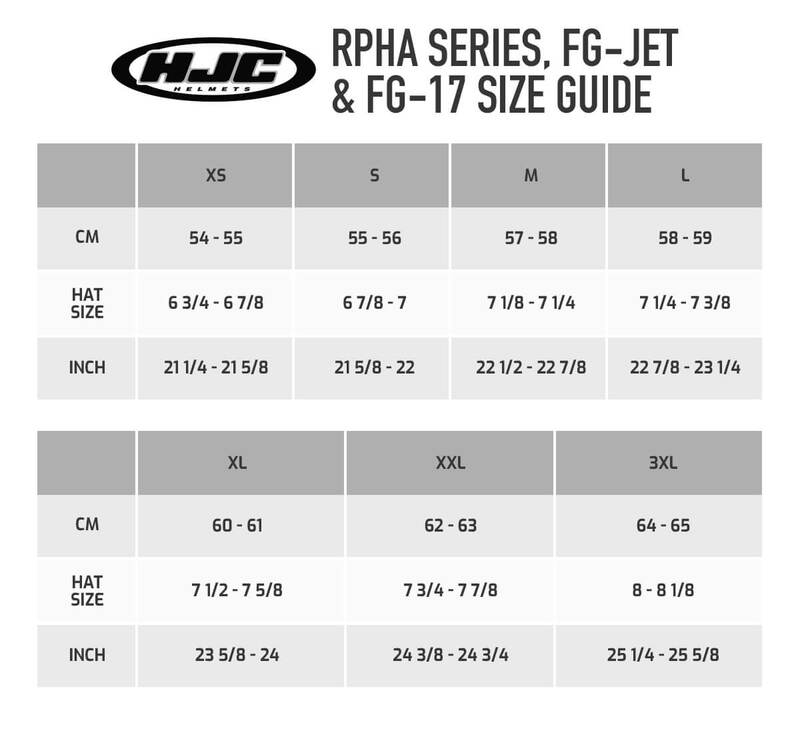 The new RPHA70 Motorcycle Helmet from HJC features a PIM (Premium Integrated Matrix) outer shell construction with a combination of three different construction materials, carbon fibre, aramid and fibreglass. This combination of material creates a unique woven blend that produces a shell that is both lightweight and remarkably strong. The RPHA70 features HJC's Rapid-fire shield replacement system, this simple but highly effective visor ratchet mechanism provides the wearer an ultra-quick and tool-less visor removal and installation. The integrated sun visor is anti-fog and anti-scratch coated with an easily operated progressive control and the visor itself has their enhanced dual lock system. In terms of ventilation HJC have developed the RPHA70 with a completely new interior liner design for maximum air flow, with a Dual Purpose top vent acting as both intake and exhaust and new front vent for improved air circulation.